CAC Self-Directed Learning coach Turner Humphries (Hooch) writes about returning to his colleagues at Soccer Without Borders Uganda in Kampala. April 14th 2015. When I first arrived in Uganda in July of 2013 it was apparent that my name was going to cause many people trouble. For whatever reason my name just did not roll of the tongue well. After introducing myself I would undoubtedly be met with something along the lines of, ‘Nice to meet you Tony.’ Any attempt to correct the error was futile. In fact, even some of my colleagues at Soccer Without Borders (SWB) believed my name to be Tony months after my arrival. Eventually my real name began to take hold and at last ‘Tony’ was a thing of the past, at least I thought. When I started with Coaches Across Continents in 2015 in Haiti ‘Tony’ was resurrected as many of the participants also had trouble saying my name. I have no problem with ‘Tony,’ I’m sure many great people sport the name; I simply prefer not to be one of them. The name Turner came from my parents love for the Tom Hanks classic, ‘Turner & Hooch,’ a film that was somehow snubbed at the Academy Awards. With this knowledge my CAC colleagues declared me Hooch, a nickname that has yet to find a person incapable of its pronunciation. When I returned to Uganda and Soccer Without Borders my nickname was one of many things that had changed. A fresh coat of purple paint covered the classrooms, a new reading room had been built and two female coaches were added to the staff. Most notably that around forty participants received scholarships to private schools. 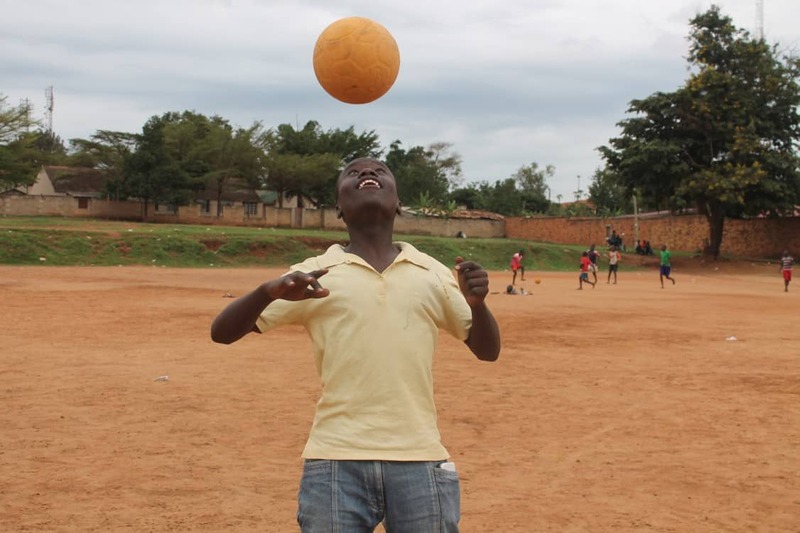 Soccer Without Borders primarily serves the large urban refugee population in Kampala; providing English instruction, life skills and soccer coaching to around 300 youth. Many of the participants come from the Kivu region of the Democratic Republic of the Congo. The DR Congo is extremely wealthy – and extremely big. Similar in size to Western Europe, it is rich in diamonds, gold, copper, cobalt and zinc. Unfortunately for the people of DR Congo, its resource wealth has rarely been harnessed for their benefit. The amount of wealth has attracted many competing factions including government interests and warlords, and has been the root of many violent clashes and ethnic wars across the countries in the region. This instability has caused many families to flee into Uganda in pursuit of a better life. Most arrive lacking the English skills necessary to attend school or find work in Uganda. SWB attempts to prepare them by offering three different levels of English classes. Last year I taught the level one English course comprised of around fifty 5-10 year olds, most of whom are learning English for the first time. Walking back into my old classroom I could picture the faces of my students as they puzzled over a difficult vocabulary word or cheered after a board game victory. 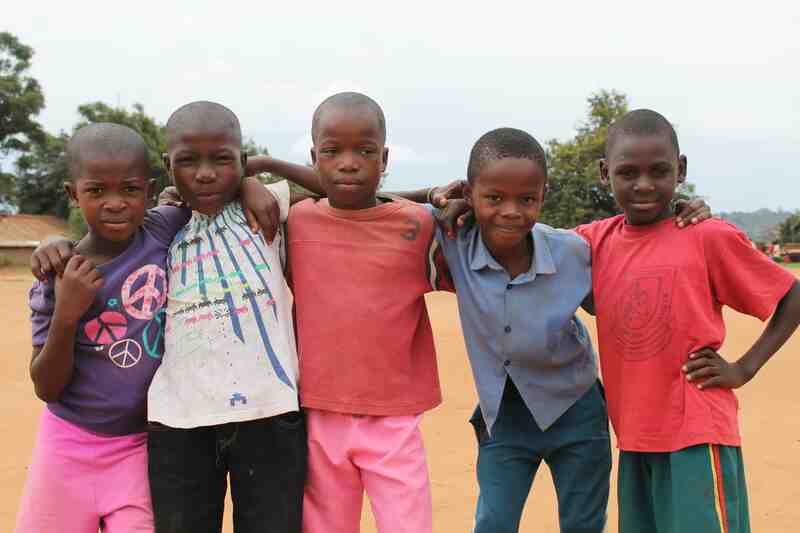 Undeterred by the numerous hardships they have faced, these children continue to strive to further their education and have an insatiable appetite for knowledge. It was these students that made my time in Uganda so memorable and made my job as a teacher and coach enjoyable. A special moment for me was seeing my former colleagues demonstrate games they had learned that week to the rest of the coaches. Jules Mayele, the youngest SWB staff member at eighteen years old, confidently stepped up to lead ‘Lines Game.’ This game requires players to think quickly while still working together in groups, awarding teams that develop creative solutions to a problem. With his Crest commercial smile, Jules delivered clear and concise directions that were crucial to the success of the game. Jules began with SWB as a student in English level one. As he developed his English language skills he demonstrated a natural ability to lead. Jules has become an excellent teacher capable of teaching both youth and adults. Before long I have no doubt he will be able to add top flight football coach to his resume. I enjoyed every second being back in Kampala. Soccer Without Borders and the other Kampala area coaches showed a great desire to continue their education in soccer for social impact. I look forward to seeing more positive changes being made in Kampala next time I find myself in the Pearl of Africa. Next: How Do I Play Messi for Gender Equity Again?